We have a maximum of 6 hours of classes. Timing varies from batch to batch. Almost every branch has a morning batch and an evening batch. 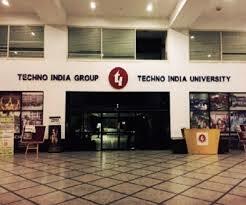 Techno India University has multiple labs for every branch as well as smart classes on every floor. The University has highly qualified teachers who incorporate smart teaching sessions every now and then. VR and AR lab has recently been introduced in the college. Teachers focus a lot on the innovations and encourage new ideas and projects to be undertaken. The university also releases research papers written by students on a regular basis giving them credibility and recognition. 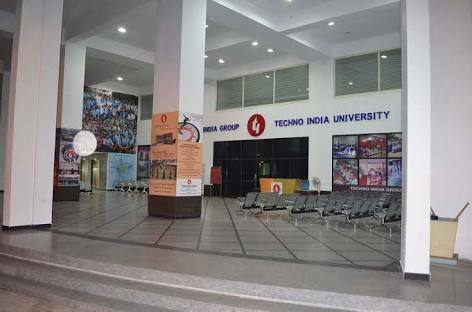 Like every college, Techno India University has a very active student body.The student society includes the Debating Society, Cultural Group, Scientific Society, Sports Union etc. International Clubs like Rotaract Club also function very efficiently in the University. The college usually has two sessions : Morning , Afternoon. The students are not at liberty to choose which session they want to attend. Morning session: 8:00am - 1:30 pm. Afternoon session: 1:00 - 6:00 pm. The college gives minimal projects and assignments and thereby keeping the burden on students to a minimum. 1 assignment perr module per semester is the most you can expect. The university has good faculty who bring a lot of experience to the table. The method of teaching is mostly on whiteboards. Every class has dedicated projector screens which help the teacher give practical demonstrations whenever necessary. 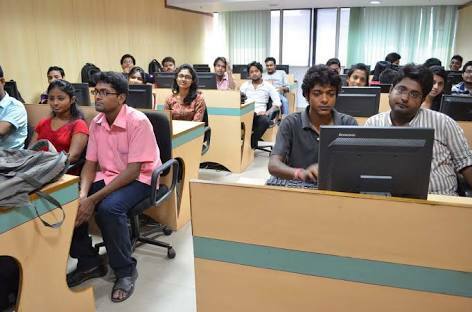 The college has a dedicated club - Technopreneurs which is a forum where you can come forward with your own business ideas which are heard by top officials of the college and if you can win them over, the University provides you an initial funding which brings forward entrepreneurs every now and then from the college. The University also has various dedicated university academic programmes (For instance: PEGA) and other value added courses(SAP) which has enriched my skill set significantly. The college also has a mandatory module called CASD(Career Advancement and Skill Developement) every semester which addresses the various soft skills and other merits required to crack interviews and ace Group Discussions. Life in college is very chill and not in any way taxing or tedious. University runs 5 days a week and two days off, either Sat-Sun or Sun-Mon, depending on the batch you are in. Timings depend on the strength of that batch. After every semester students are given the opportunity to present their projects from the given number topics. Marks are awarded on the basis of the project's innovation and creativity to develop entrepreneur skills. University has a Rotaract club, technical club/society, cultural club, literature club, sports club, etc. Students organize annual cultural, a technical, management, biotechnical and annual sports festival in a very good manner. In general, life in college is what one could expect. The atmosphere is cozy and students tend to be active. Inviting and friendly environment. • There were fest anachronous, sanskaras, Mahotsav hosts fest and cultural and sports • there was good enjoyable life in college. Classes are 5 times a week. Class timings may vary from 8am-1 pm or 2pm-7pm Quality of teaching not very good. It is as it is in most of the colleges in India. Overall experience has been very good. I have learned so many languages and new technologies from here. There are various societies like drama, fashion, Sports, Literature. Annual Sports, Vivarta(tech fest), Sahotsava(Cultural) In general the life in college is very amazing. 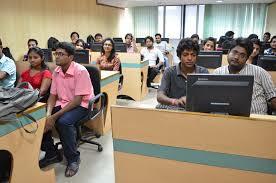 As it is a private University Techno India University is very strict about classes, assignments and lab works. The method of teaching is analyzed and understood by students. There are many festivals all through the year. 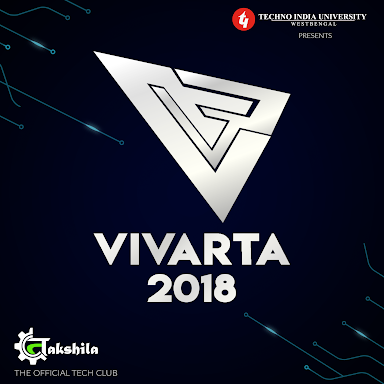 Techno Sahotsava is for all departments and there is another tech fest called Tech Vivarta. Also, it has sports group called Rudra. Approx 6 hrs class in five days of a week at Technoindia. The faculties are very good and supportive. From time to time many seminars and workshops arranged by seniors brothers which help us to all to improve our knowledge and skills. Many clubs and societies present in Technoindia like-geek Onix, Robo play, automobile society club, etc. The daily classes are for 6-7 hours. The faculties are quite well. So the overall experience is really fascinating. The University has several clubs like Literature Club, Science Club etc. 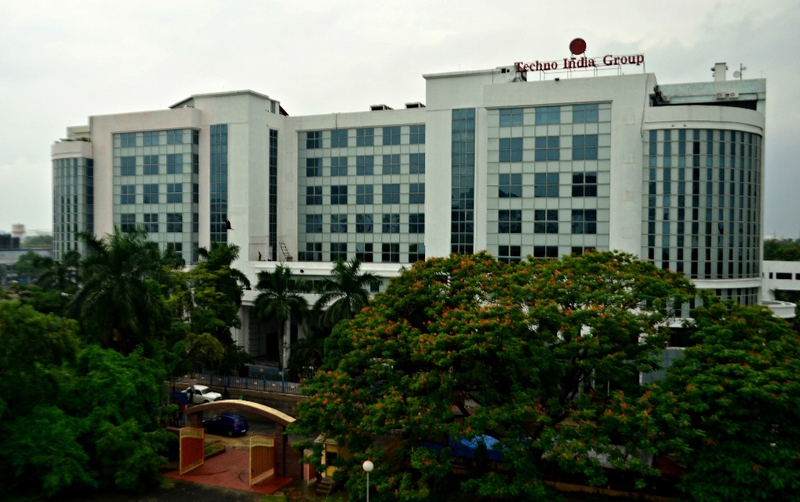 Tech Fest, Cultural Fest and Sports Fest are held here with ppmp and splendour. Yes, it's awesome. Teachers are also good as their Teaching quality is also good. Overall experience in college is awesome. Two groups are there in college, one is RUDRA and another is SOHUTSAVA. Cultural fest, tech fest, and games fest. We are enjoying our life in college. Classes are often irregular. Exams and assignments are regarded properly. Above average Like most of the private colleges feel. Class timings is from 10am-4pm. Overall good experience in college. There are many societies. Social events take place every month. Life in this college is awesome. The daily routine is from 10:00 a to 5:00 pm. The quality of the teaching is very good. Overall experience is good. There are many festivals celebrated in this campus. College Fest is one of the main fests in this college. Life is good in this college. Classes are conducted on a usual basis. Assignments are given on a regular basis. My overall experience is good. The daily routine is not punctual. Quality of teaching has to improve a lot. Clubs and associations are very much active as students are very active. The Sahotsava, The Rudra are the main festivals including the freshers and farewells. Life in college is relaxing. The quality of teachers is good. 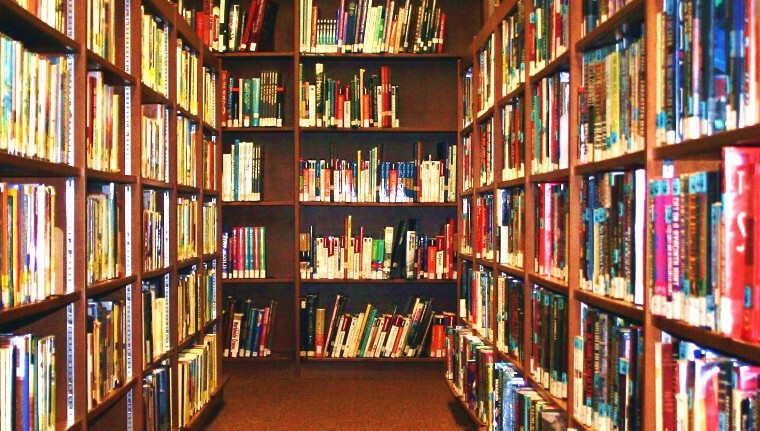 We have a library with the huge variety of books from every field. Overall experience in college is good. Almost all the important festivals are celebrated here. Life in college is great. The class timing is from 11 am to 4 pm. There are 2 semesters in a year. But the semester fees is high. The routine is quite appropriate, managing all the labs and classes according to the need of the students. The college has good faculty of teachers. 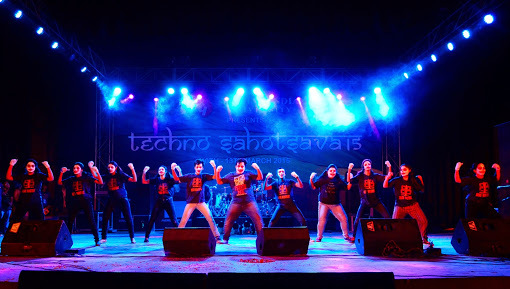 The college holds tech fest every semester and cultural fests every year. Sports ,dance and music is highly encouraged via clubs and associations. Techno India University is a relatively new University located in Kolkata, West Bengal and has steadily grown into an institution that provides academic excellence and industrial exposure.The college has excellent infrastructural facilities and competent teaching staff which has resulted in the rapid growth of the college. The University believes in inculcating technical skills in students, which will help them in their careers. The University is renowned for its Engineering Departments. The University encourages admission for Engineering courses through WBJEE , JEE Main and TNJEE (Techno National Joint Entrance Examination). TNJEE is a national online examination which is conducted for Postgraduate and Doctorate level courses. Classrooms: The classrooms are spacious with modern amenities including a projector to teach students with a dynamic and holistic approach. The University has not provided any information about Scholarships.